Such consistently successful performances piqued the interest of a number of top European clubs. Eventually a transfer was agreed with Manchester United, allowing Memphis to link up with ex-Netherlands manager Louis van Gaal. But can he live up to the pressure of being Manchester United’s star young talent? 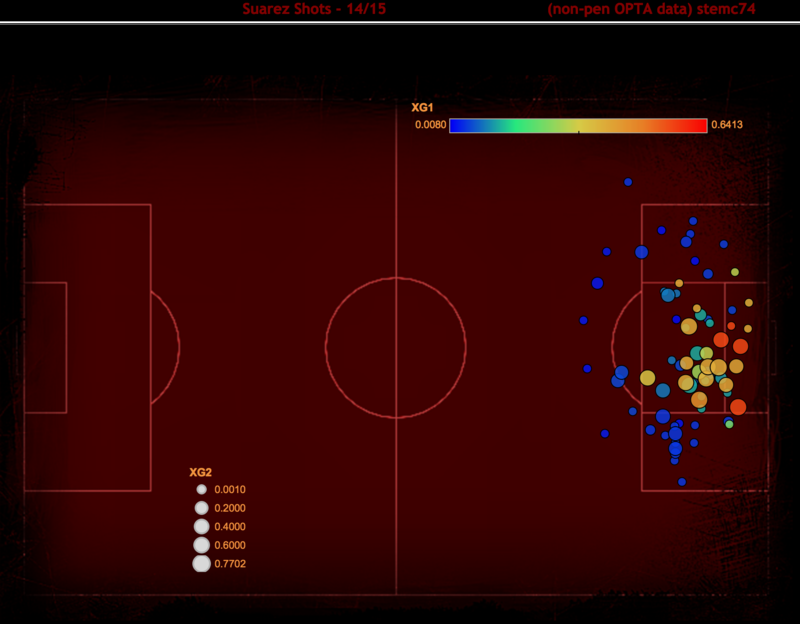 Memphis is something of a shot monster; no-one else in the Eredivisie came close to his 5.4 shots per game. This is no surprise, considering he is the key player in the league champions’ attacking force. But the shot count is also inflated due to his tendency to shoot from range. For the 2013-14 season, only 4 of his 12 open-play goals came inside the box, and one of these was a rebound from a missed penalty. Long range shooting is a clear strength, and he is therefore given license to shoot from range by manager Philip Cocu. But in 2014-15, there was a clear development in his off-ball movement, and he managed more goals from clever movement inside the box rather than thunderous strikes from range. Creating this extra facet to this game increased his league non-penalty goals from 11 in 2013-14 to 20 in 2014-15. The question remains as to whether this long-range shooting style will mesh with Louis van Gaal’s philosophy of ball retention. It seems likely that Memphis will need to undergo a similar transformation to the one made by Luis Suarez upon his move from Liverpool to Barcelona. Suarez understood that the license to shoot he was given at Liverpool would not apply at Barcelona. With the presence of Lionel Messi & Neymar, he needed to share the ball more and shoot less. So he shifted his style, and redunced the long shots. Despite the shift in style, Suarez maintained his effectiveness: he managed an xG1 of 0.51 per 90 minutes at Barcelona, which wasn’t far off his xG1 of 0.58 p90 in his final season at Liverpool. He was also able to increase his assist rates and allow his teammates to flourish as he became a cog in the machine rather than the main man. But with long-shots making up such a huge part of Memphis’ success, it may be difficult for him to compromise on his shot volume from range. 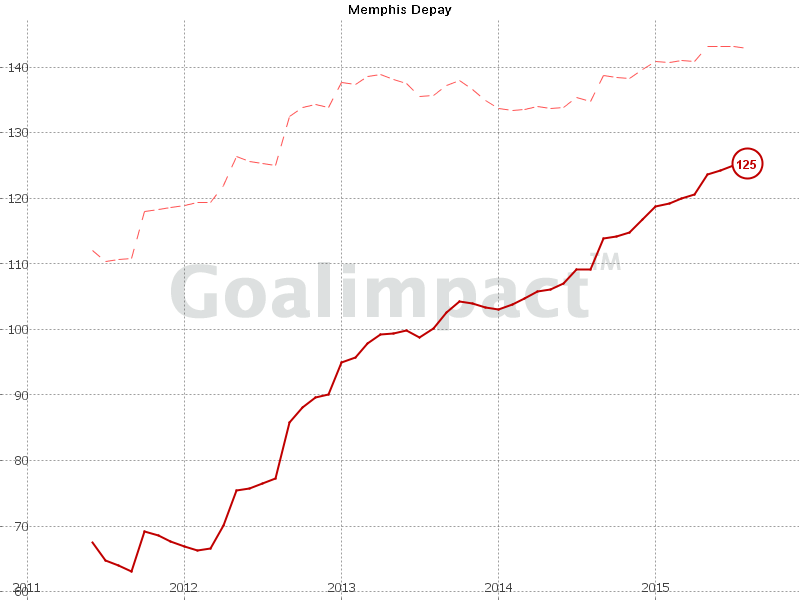 Considering the step-up in difficulty, it seems unlikely that Memphis will have such a prominent goal return again next season. 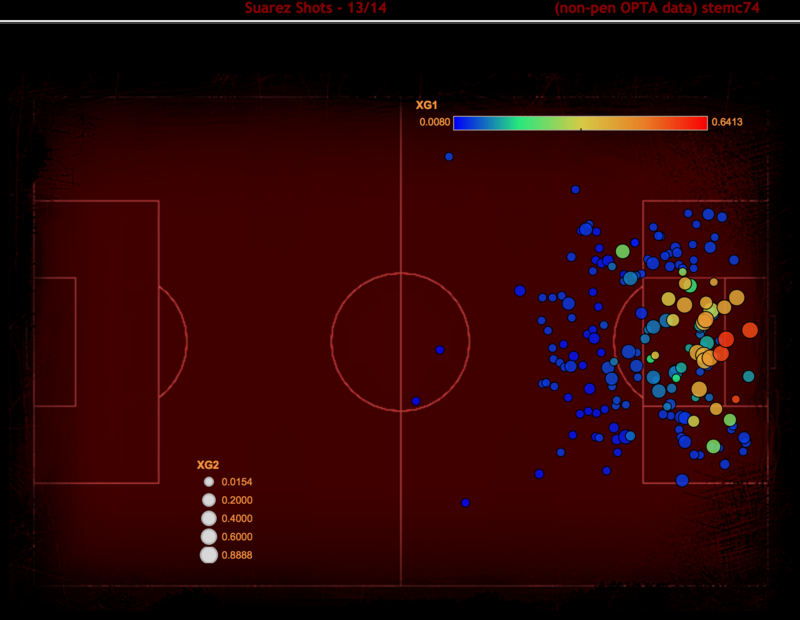 His 20 non-penalty goals far exceed his 13.8 xG1 & 14.1 xG2. But how much of this was driven by his freakish ability from long shots? And perhaps even more prominently, free kicks? That’s 7 of his 20 2014/15 non-penalty goals (35%). That’s massive. And whilst it will be harder for Depay to score open-play goals in the Premier League, it may be harder to score from dead-ball situations too. 1: Quantity of goals scored. In 306 Eredivisie league matches for 14-15, 38 free kicks were scored. This approximates to one free-kick goal for every eight matches played. In 380 Premier League matches for 14-15, 27 free kicks were scored. This approximates to one free-kick goal for every 14 matches played. If deflections and accidental goals (ie. goals scored that were intended as crosses) are removed, then it is far more difficult to score on the goalkeepers’ side in the Premier League. 42% of these free kicks scored in the Eredivisie were on the goalkeepers side, as opposed to 26% in the Premier League. As well as this, there was a tendency for more long-range free kicks to find the net in the Eredivisie than the Premier League. 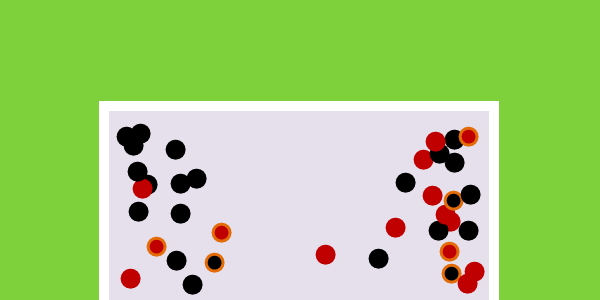 As indicated by the goal view, the Premier League goals scored are generally closer to the edge of the goal and thus more difficult for the keeper to reach. This is important, because not only will Memphis need to improve his ability if he is to maintain his 7 free kicks scored for next season, but he may also need to alter his style. Four of his seven free-kicks came on the goalkeepers’ side, which will be difficult to replicate in the Premier League. Despite being a ball-carrier first and foremost, Depay’s vision is also of a high standard. 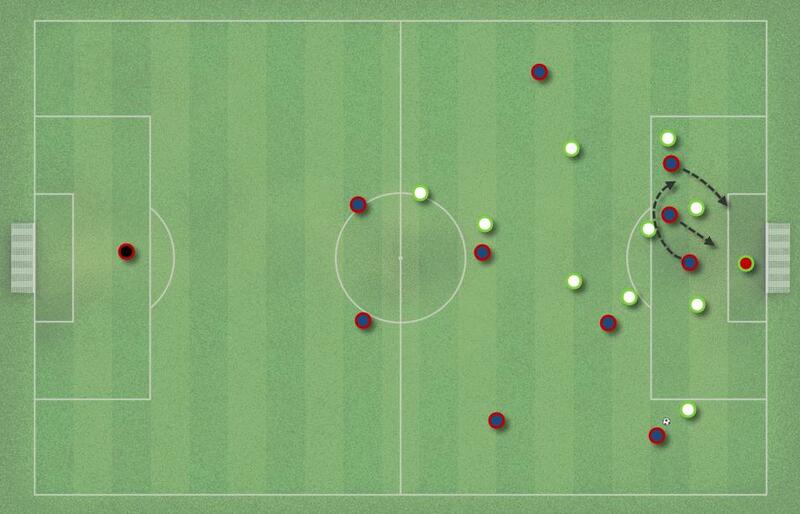 As a left-winger in van Gaal’s 4-3-3, one vital move is being able to cut inside and deliver a through ball or cross. vs. NAC Breda: 49:40: Memphis has the vision to spot the pass to De Jong, but not the passing capability to successfully perform the pass. This play comes in transition, and also exhibits his natural inclination to hurry the ball up the pitch as quickly as possible, rather than wait for more suitable passing options & the support of his teammates. This scenario happens often; where he is able to spot the pass, but unable to pick out the man. As a wide forward in a 4-3-3, his vision & passing is merely satisfactory. There were a number of successful link-ups for Memphis over the course of 14-15, but three in particular. Firstly, the presence of Jetro Willems marauding down the left flank allowed Depay to drift inside and influence the game from central positions. Secondly, Luuk de Jong. PSV’s attack added a new dimension when they signed de Jong from Borussia Monchengladbach in July 2014. His aerial ability allowed them to utilise the crosses of Willems and co. But it also allowed Depay to develop his ability to play in the space that the defense vacated in order to try and deal with de Jong. vs. Groningen: 28:00: Rotation in the centre of the pitch as Memphis attacks the back post with Wijnaldum, whilst de Jong loops around. PSV upped their cross numbers, and Depay developed an ability to ghost in at the back-post behind de Jong. Thirdly, Adam Maher. 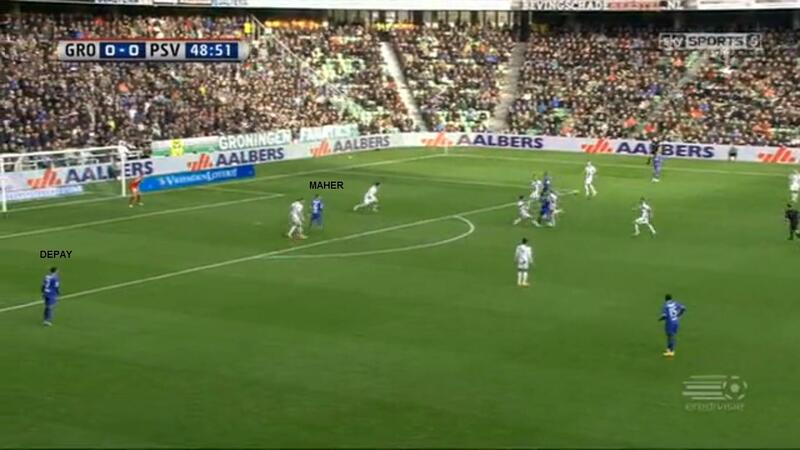 Maher was the chief proponent of the deep halfspace run; a move that occupied the opposition RCB or RB to give Depay more room to work in. This can often also create dangerous opportunities for Maher himself. vs. Groningen: 48:51: This time Maher is in a narrower position, and occupies the opposition RB to allow Depay space at the back post. This leaves PSV in a dangerous situation for a defensive transition but also creates a valuable attacking opportunity. This should come as good news to Maroune Fellaini. Despite not being Louis van Gaal’s first choice, the Belgian managed to find a role for himself last season as LCM in the 4-3-3. Clearly, due to his height, Fellaini is capable of acting as the target man (see: Luuk de Jong). But he also became adept at making intelligent runs into the halfspace between the RB & RCB, and also occupying opposition defenders. There may just be hope for Fellaini yet. Cocu’s PSV are not a team fixated with possession. They are comfortable with allowing the opposition to have the ball, and only engage them if they enter their half (least tackles + interceptions of any team in the Eredivisie). Much of their attacking threat in 2014-15 came from the pace of Depay & Narsingh on the wings, but this was supplemented by the attacking positioning & creativity of Wijnaldum & Maher as the outside CMs. 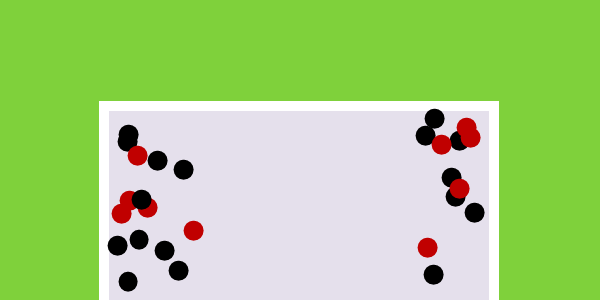 The main weapon once possession was recycled in the organisation phase was crosses into de Jong, and cleaning up the second balls. Manchester United have developed a style which has far more sideways & backwards passes. There is more of an urgency to win the ball back, even in advanced areas. In possession, this would suggest Memphis will spend more time with his back to goal. This may be difficult to adapt to for a player so deadly when directly dribbling at a defender. But if United are able to isolate Depay in a 1v1 with the opposition through a quick shift in play and clever positioning from Memphis, then he will be able to do damage. This may create more potency in the middle third, but Depay will need to adapt his game in the final third. As mentioned earlier, Memphis loves to shoot from distance. But it seems inevitable that his shot numbers will decrease. How he adapts to this could be vital to his success. Aside from shots, his creative freedom may also be reduced. vs. NAC Breda: 14:48: ‘Where’s Memphis?’. Depay should be on the LW in the organisation phase. Instead, he is no-where near. This allows Breda increased horizontal compactness as they do not need to consider the potential for a quick switch in play. In situations such as this, van Gaal will generally demand Depay stays wide, to create larger spaces in the centre of the pitch. Allowing the central midfielders to have more space in the middle means they are able to take more time on the ball and exert their influence over the game through better decision-making. This could be exonerated somewhat by the potential arrival of Pedro, who is an expert at stretching the play. But if that transfer is not completed, and Juan Mata is the wide forward on the other side, then it is vital that Depay can is more disciplined in his positioning. Memphis Depay is very good at lots of different things. And what makes all of this more special is the fact that he is still only 21. Whilst there are a number of good wingers at that age, very few manage to combine on-ball dribbling ability with goalscoring ability & clever off-ball movement. He is moving from a league with a lack of compactness in defense to another with a lack of compactness in defense; this suits him. And whilst the team may not be a perfect fit for his current abilities, he has many years ahead of him. With Ashley Young signing a new deal, he will have competition on the left flank for a few years still. 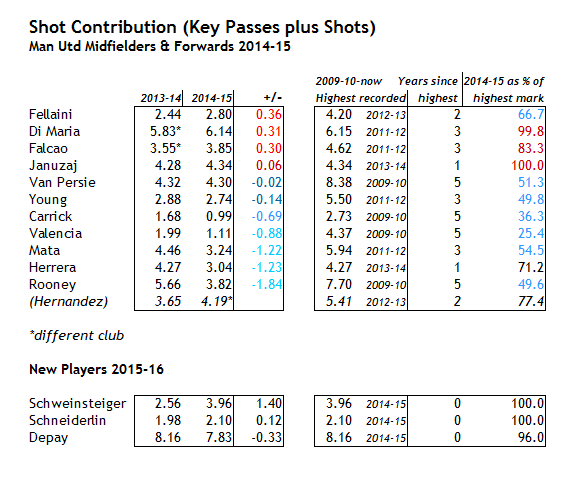 But the main issue is how Memphis’ shooting skill-set will work within van Gaal’s possession-oriented approach. If van Gaal restricts him to a ‘3 shots per game’ player, then he may have to totally reinvent his style. On top of this, he will need to be tidier in possession; only Samuel Armenteros lost the ball more times per game than Depay last year. The situation seems to mirror that of one a few years ago, where Andre Villas-Boas converted Gareth Bale from a cog in the system to the main man. He was given license to utilise his deadly long-range shooting, and a star was created. It seems likely that van Gaal will initially attempt to fit Memphis into his system, but moulding the team to play around him may prove more fruitful in the coming years. There is no doubt that Depay has the potential to become a star. Now, that potential must be unlocked. I thoroughly enjoy reading these player scout reports they are a fantastic idea. One of the reasons I enjoy them so much is because they do not just state ideas and opinions, they use fully objective statistics to support every statement. Keep these coming!! Was really interesting to read a report that was heavy on statistical use because I’ve just started my own scouting blog that is based more on personal opinion of players I watch regularly. Great analysis though.